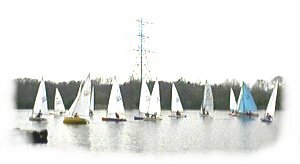 Racing of mixed classes takes place most Sunday's at 2.00pm throughout the year. During the summer months there is a second race on a Sunday and on Wednesday Evenings. The Sunday Race competitions are split into different series , Winter, Spring, Summer and Autumn, with prises for the best placed competitors and Trophys.